The Marshall Government’s claims that embattled Environment Minister David Speirs was denied “procedural fairness” are undermined by letters he sent both the Murray-Darling Basin Royal Commission and a separate Productivity Commission inquiry, opposing any new strategy for recovering 450 gigalitres of environmental flows under the basin plan. Premier Steven Marshall has gone into bat for his beleaguered minister, who was singled out for criticism by Royal Commissioner Bret Walker over his “capitulation” to the Commonwealth and upstream states in renegotiating criteria for the release of the 450GL agreed under the initial basin plan. Walker’s suggestion in his final report that Speirs’ consent was “so antipathetic to the interests of SA” that it put him in breach of his ministerial code of conduct prompted a stinging rebuke from Marshall, who labelled the comments “ludicrous and nonsensical” – both inside parliament and out. The Premier initially refused to repeat the sledge with the protection of privilege, but relented this morning in an interview on ABC Radio Adelaide. He also doubled down in parliament yesterday on the Government’s claim that the royal commission’s comments regarding Speirs and the SA Government’s position at the December meeting that signed off on the watered-down criteria “were not the subject of a recommendation [or] a finding of the report”. “They were commentary embedded in seven sentences within the report and yes, I do find that criticism completely ludicrous and nonsensical,” Marshall told parliament. But in the royal commission report’s “key findings”, Walker explicitly states that “the South Australian Government’s agreement to changes to the socio-economic criteria for efficiency measures is antipathetic to the interests of South Australia, and the South Australian environment”. “It is doubtful that much of the 450 GL of upwater will ever be actually recovered for the environment through efficiency measures, and especially under the new criteria agreed,” the finding states. The Marshall Government has defended the revised criteria and refused to abandon them, although it is yet to formally respond to the Commission report. 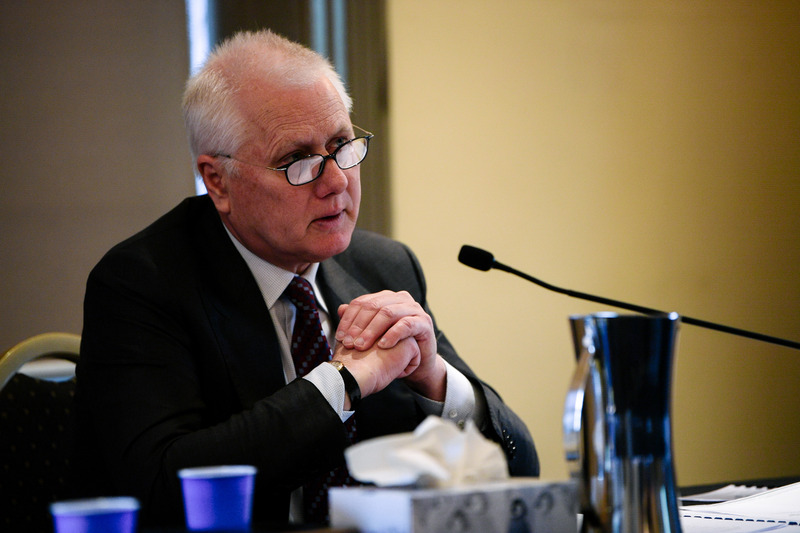 Barrister Richard Beasley SC, who was the counsel assisting the Royal Commission, told InDaily that “the ‘antipathetic’ comment by the commissioner is in fact a finding”. “That’s not a side comment – that’s a finding,” he said. Beasley insisted neither he nor Walker would “engage in a debate about what the Premier said yesterday in terms of responding to his allegations”. “He’s entitled to an opinion,” he said. Walker has not made any public comment since his report was handed down and Beasley said “I think it’s fair to infer” that “his public statement on this is his report”. 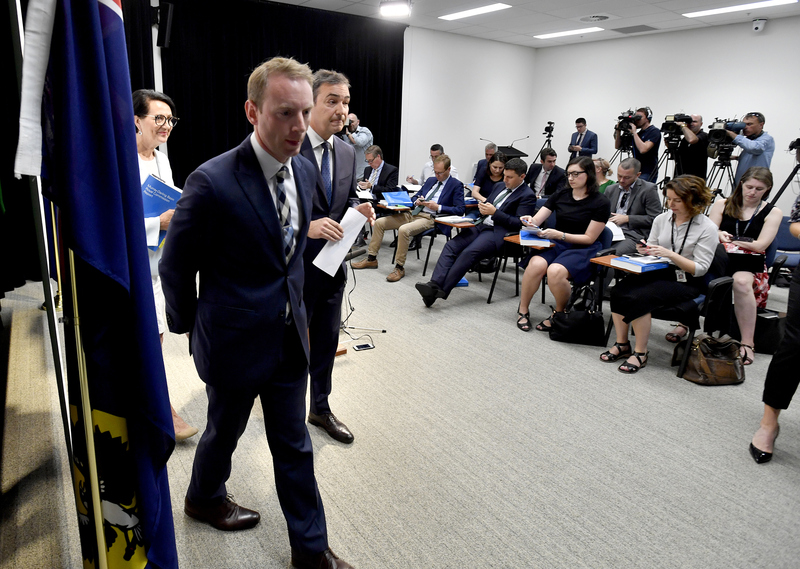 “He feels as though his role ended when he gave the report to the Governor [and] in his view it’s not proper or seemly for a royal commissioner to start responding to people – whether members of the public or politicians – if they’re critical of his report,” Beasley said. However, he added, “one thing it’s not safe to infer is that he agrees with any of the criticism”. Beasley notes that Speirs responded to specific questions from the royal commission on September 20 last year – with his response posted on the commission’s website – explicitly stating that “the SA Government does not agree that a new strategy is required to recover the additional 450GL”. A month later, he said the same thing in correspondence to a Productivity Commission inquiry – also posted on its website. “With respect to benefits from the 450GL to be recovered via efficiency measures, [the Department of Environment and Water] has advised me that it holds strong concerns with statements made around Basin Plan modelling [particularly] the suggestion that the final 450GL would have few additional benefits if constraints were not eased or removed to allow river operators to meet increased demands from environmental water holders,” Speirs told the Productivity Commission. He did note that “more proactive communication and engagement from the Commonwealth would improve transparency of the current strategy and forward plan”, but emphasised that “alternative approaches to efficiency measures, which do not involve the recovery of real water, should not be considered”. The Productivity Commission’s final report noted “the Government of South Australia argued the legal requirement of voluntary participation in efficiency measures should be retained, as it does not inhibit projects being delivered on time and in budget to deliver the 450GL”, and found that “a strict ‘no impacts’ test is unworkable”. “Any definition of socioeconomic neutrality that requires Governments to demonstrate that an on-farm efficiency measure would have no negative impacts is simply an impossible ideal,” it said. This point was also emphasised by Beasley himself in his October 30 summing-up, when he said if the new criteria were adopted “then the little prospect of the 450GL, in my submission, becomes almost zero”. “My final address was in late October, by which time NSW and Victoria were mooting a change to the criteria, suggesting ‘we won’t go forward with this without a change to criteria’,” Beasley told InDaily. “I made a submission – and the minister’s staff were sitting behind me, so he must have known – but neither the minister, nor the Premier, nor anyone from the Department of Environment and Water at that point or afterwards contacted the royal commission saying ‘we know we’ve made this submission saying no change… and heard the Royal Commission saying it would be a disaster, but we’ve now changed our mind’. Beasley said the commission hearings had been over for almost two months by the time Speirs attended the meeting and agreed to a change in the criteria, and “the commissioner had at least once been told [by Attorney-General Vickie Chapman] ‘you’re not getting an extension’”. “After that, we did not receive anything from the SA Government telling us about a supplementary submission or anything else saying ‘what we submitted to you previously was wrong and we’ve now changed our minds’. Speirs told parliament yesterday he was “not sure” what advice he provided the Productivity Commission but that when he provided his advice to the royal commission “we were working through our position on the socio-economic criteria”. “The further we went down this track, the more I realised that something needed to change,” he said. But Beasley said the commission’s finding was “consistent with what the Government submitted to us [and] consistent with what they submitted to the Productivity Commission”. Marshall yesterday lamented “the manner in which this issue has been dealt with and commented on by the royal commission” which “has given opponents of the Government their seven seconds of political sunshine from seven sentences in a report of 746 pages”. “There was no attempt by the commission to accord the minister procedural fairness by contacting him and seeking his reasons for the decision,” he said. Beasley also took issue with this claim. “It’s a fact that the commissioner has found the legal advice relied upon at the time [the Basin Plan was drafted] was wrong… it would have been a very odd thing for Commissioner Walker to criticise a politician for actually relying on advice given by a Government’s legal agency,” he said. I’ll pass on that kind message to the Commissioner. I can’t see twitter ever being his go. I’m considering setting up a fake Bret Walker SC account to deal with the comments of the SA Premier under parliamentary priv today, but I suppose there’s a boring Bar Rule against that. Beasley has also taken to social media over Speirs’ use of parliamentary privilege to assert that Walker’s “title does not elevate him to an untouchable deity”. Does he have the guts to say that outside of Parliament? And how does he know? That was not in the Commission's Terms of Reference. “I expect him to attempt to repeat that outside the parliament… but I’d be very cautious of saying outside a privileged body that Walker wasn’t a deity,” Beasley said.